The U.S.'s latest amphibious ship is getting a laser weapon just in time to show off at the 2018 Rim of the Pacific wargames. 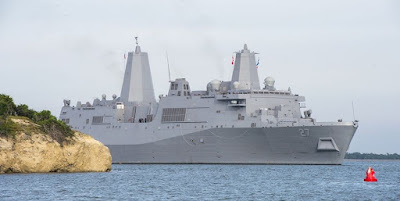 The USS Portland, which will function as the flagship for the multinational military exercises, is set to receive the latest version of the Navy’s Laser Weapon System. The new weapon will likely make an impression on visiting sailors—especially those from China—that also participate in the exercises.